News: We will be having a stand at Bespoked this year! 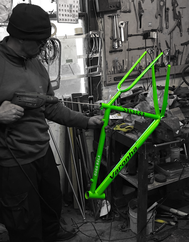 Varonha Frameworks build, repair and renovate steel bicycle frames. With over 35 years of experience in the frame building business, proprietor, Winston Vaz is equipped will all the skills and knowledge of a master of his craft. 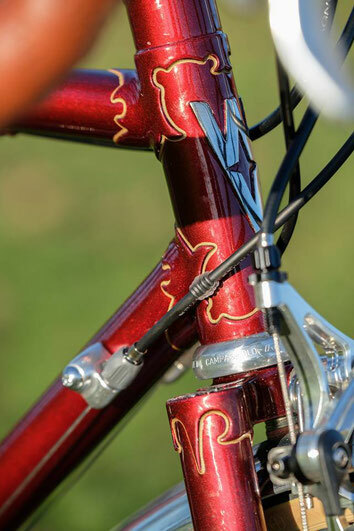 Since leaving school at the age of 16, Winston Vaz has been building and repairing steel bicycle frames. He started to learn his craft at the Holdsworthy Cycle Company where he learned the different skills required of a frame builder such as brazing, silver soldering shot blasting and filing. After working there for nine years he went on to work as a frame builder for Roberts Cycles in Croydon where he worked for 27 years building road and mountainbike frames. Now, Winston works in Hither Green in South London repairing frames and building bespoke steel frames for customers with very individual requirements. workshop address, 25 Mallet road, Hither Green, London, SE136SP. Please Contact Winston to discuss anything you need from a repair to a broken gear lever boss, a fetching new paint scheme for the new season, to a brand new custom built stainless steel frame, all at very competitive prices.